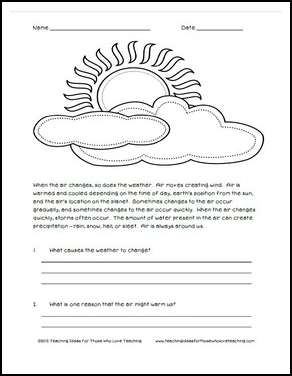 This activity includes reading, writing, and coloring activities about the Scientific topic of the air and weather. A great way to integrate Science with reading and writing. 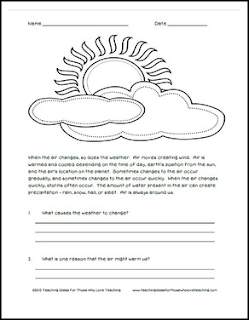 If you like this activity, check out my complete Understanding Air and Weather unit.